Energy Savings – Unlike other window coverings including blinds and draperies, SUN-GARD window film blocks heat before it enters your home and its insulating properties diminish heat loss through the glass. Controlling these factors can translate to noticeable energy savings. 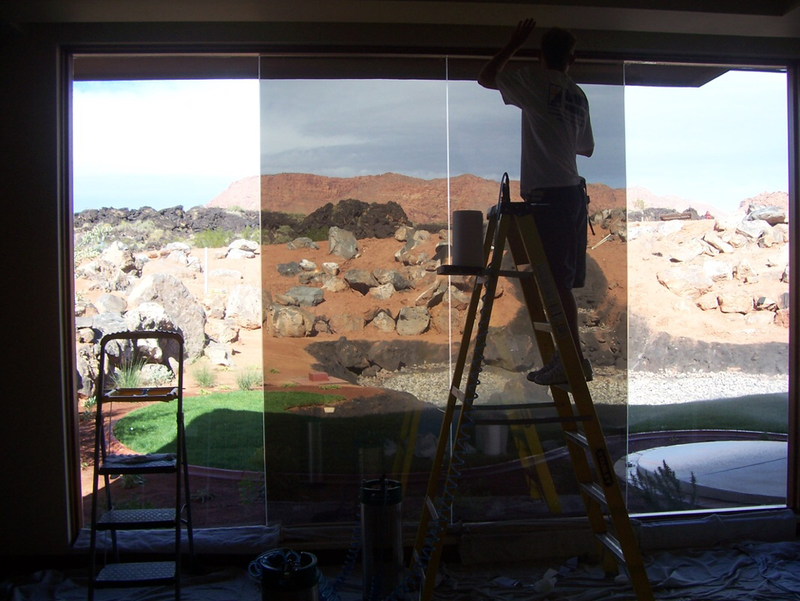 Comfort – SUN-GARD films reflect up to 78% of the sun’s heat, allowing you to more effectively control the temperature throughout your home. First Impressions – Add style, distinction and value to your property by creating uniformity to the exterior appearance. SUN-GARD films are available in a wide variety of shades and styles to suit any architectural requirement and can greatly improve and enhance the appearance of your home. The Sun’s Harmful Rays – Damaging UV radiation, excessive light and heat all contribute to fading and premature aging of fabrics, furnishings and flooring. SUN-GARD film impedes the damaging effects of the sun by reducing UV radiation and controlling excessive heat and light.